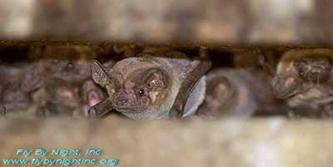 Ø NEVER use chemicals or other means that harass, harm or kill bats. Ø (15 April – late August in Florida; 1 May — Sept elsewhere in the U.S.
Save your money, your sanity and bats — be wary of any business that uses that uses unscrupulous scare tactics and negative terminology to sell their service. terms such as = Abatement, Control, Eradication, Free, Infestation, Remediation, Removal, Trapping, Vermin. Always follow all local guidelines. Bats are protected in many areas and special permits may be required. Local authorities should always be consulted prior to conducting any activity.